There’s been a lot of buzz lately about the new two-part film adaptation of Stephen King’s It, much of it due to the recent release of a trailer that spooked cyberspace big-time. 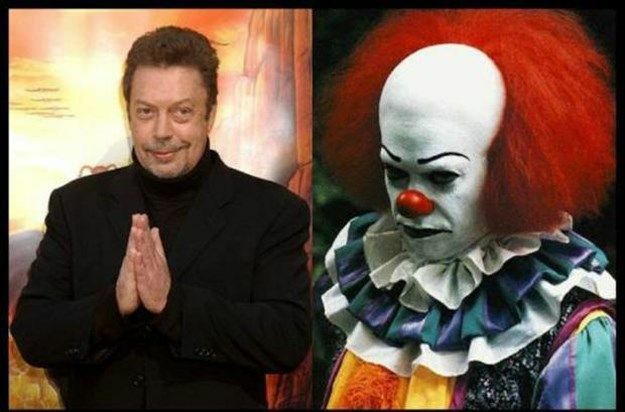 Everybody’s curious about how Bill Skarsgård’s portrayal of Pennywise the Dancing Clown will compare to that of Tim Curry’s from the 1990 TV miniseries. I was lucky enough to have been the only journalist who interviewed Curry on the Vancouver set of the first It, when I was covering the filming for Fangoria magazine. One of the first questions I had for the British actor was whether or not he was a fan of Stephen King. In his brief reply Curry mentioned that he felt King was “an extremely entertaining writer”, and “really good at that stuff”, before adding that he would have liked to have been in The Shining.